LockTech24/7 provides all types of Residential Locksmith Bethlehem PA for the community of Bethlehem PA. With attention to the quality of products and perfectionism, we deliver an excellent in locksmith results. In short, when you call us you make a great deal of quality locksmith service at affordable price. 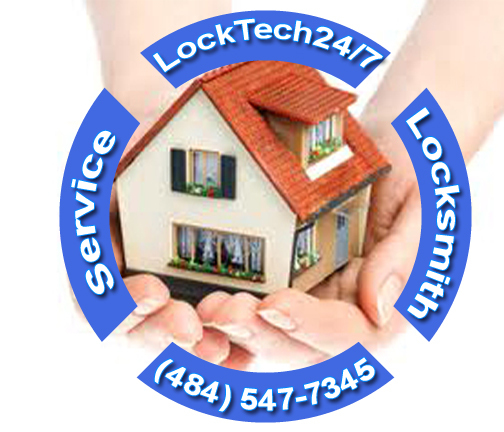 We, at LockTech24/7 believe in friendly customer service, as well as positive customer satisfaction. With attention to details, we will furnish a unique solution to your residential lock and key issue. Moreover, LockTech24/7 residential locksmith Bethlehem PA can help whether you’re located in Fountain Hill, Freemansburg, or Historic Bethlehem, PA. However, this means, if you’re locked out of your car at the Bethlehem Musik Fest, we are ready to help. There are many ways we can help you when you need residential locksmith service in Bethlehem PA. For instance; you can be locked out of your home, right now, or need to re-key the locks in your home. With this in mind, we travel and cover the entire area of Bethlehem, as well as the entire Lehigh Valley, PA.
No matter where you’re located in Bethlehem and whether you live in a big mansion, house, or apartment, we can help. Occasionally, residential locksmith services in Bethlehem PA are hard to get because other locksmiths are busy. This is not the case with LockTech24/7… from a quick door unlocking service to lock repair, re-key, or lock replace, we are here to help. Unlocking Residential Doors Bethlehem PA – Residential doors unlocking service in Bethlehem PA, as well as Freemansburg and Fountain Hill, PA. That is to say; we are able to unlock any door in your home, whether a front door or a bedroom door. Apartment Door Unlock in Bethlehem PA – There are so many apartment units in Bethlehem PA so it just makes sense many people need this kind of emergency locksmith service. We can unlock any apartment door, as well as apartment building main door. Crack Open a Safe Box in Bethlehem PA – In many cases, a mechanism of a safe box can fail on you. This means when you insert your dial code, it is not unlocking your safe door. The same thing happens when you have your key in hand. In this case, please call our experts to crack open your safe box. Broken House Key Removed in Bethlehem PA – If you broke your house key inside the lock, don’t panic. Please call our emergency locksmiths in Bethlehem PA, so we can come quickly to remove the broken key, and make a new key on the spot. Generally speaking, we provide all sort of lock services in Bethlehem PA and the surrounding areas. On this page, you can find the most popular lock services we provide on a daily basis. With this in mind, you should know that our lock services are going beyond this list. As can be seen, we can help you either you need an emergency lock repair service, or schedule lock re-key or replace service. At the same time, we can also recommend the best way to secure your home in Bethlehem, PA.
House Lock Re-keys in Bethlehem PA – As long as you have one operational key, re-keying locks is usually cheaper than replacing the entire lock and mechanism. By re-keying your locks, we change the combination inside the cylinder so the old key would no longer work, and a new key takes it place. At the same time, we’re able to repair or replace the pins and the springs in your lock. Call us to re-key the locks in your home, and we will be there without delay. House Lock Repairs in Bethlehem PA – An old lock is eventually can break apart. In addition, when your locks are too old, it jeopardy the security of your property, as well as your safety. A lock repair service dine by us is available 24/7 for residents in Bethlehem PA, Please call us now, and we will be there as soon as possible. Replace Residential Locks in Bethlehem PA – Sometimes, we’re not able to repair an old lock or damaged lock. In this case, we recommend changing your lock. Why should you pay extra money to repair old lock that can break again soon in the future? Simply call us, we would be happy to replace any lock in your home. Repair or Replace a Mailbox Lock in Bethlehem PA – In regards to mailbox locks, we can take care of locks in a private mailbox, not in a “mailboxes stationary” of all the development. In this case of stationary mailboxes poll, many times, the post office take care of them. Please call us for a phone consultation. Installing electronic locks in your house done by LockTech24/7 assured you a perfect operation of your lock. With this in mind, we can help with any digital lock you may buy. A keypad lock can be very comfortable, especially if you’re able to connect to the internet. You can lock or unlock the lock on your door from anywhere in the world. LockTech24/7 residential locksmith Bethlehem PA is here for you. Please call us if you would like to upgrade the security of your home and installing a digital lock, either on your front or your back door. As you can see above, we can help you with any locksmith service for your home, whether you live in a house or apartment. Don’t hesitate to call us for emergency service, schedule appointment, or just for a question, we would be happy to help. Professional house locksmith in Bethlehem PA is available 24/7. This means we’re open day or night, as well as weekends and high holidays.